Habitat for Humanity, a Christian non-profit organization, partners with people in the community to help them build or improve a place they can call home. At this time we need your assistance in finding a Partner Family for a home to be built in 2019. Habitat’s “Partner Family” helps build their home alongside volunteers. The Partner Family agrees to put many hours of “sweat equity” into the building and construction. This can be done through a variety of opportunities including office volunteering. The home is built with a lot of volunteer hours and donations of money and materials. The family pays low, affordable monthly payments to cover Habitat’s operating expenses. 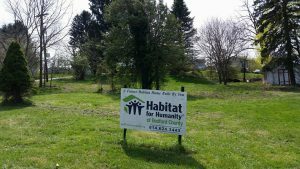 Habitat presently owns a lot in Everett, PA, and hopes to break ground soon. There is an application and specific guidelines and criteria to be met to be approved for a new home. If you know a friend or family member who may qualify, please call 814-624-3443 and leave a message. 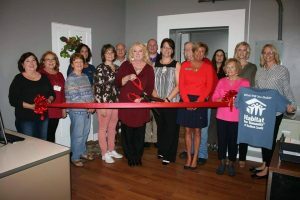 The Bedford County Chamber held a Ribbon Cutting and Dedication on October 11th 2018 for the new Habitat for Humanity of Bedford County that recently moved to its new location at 120 West Pitt St. Bedford PA 15522. Habitat for Humanity, a Christian non-profit organization, partners with people in your community to help them build or improve a place they can call home. Habitat partners help build their own homes alongside volunteers. With your support, Habitat homeowners achieve the strength, stability and independence they need to build a better life for themselves and for their families. Building homes helps generations and also the community. Materials are purchased locally and we teach skills to volunteers. It helps a person to give back to the community. It is a “hand up” not a “hand out.” The partner family agrees to put many hours of “sweat equity” into the building and construction. The home is built with a lot of volunteer hours and donations of money and materials. 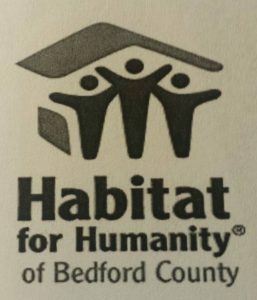 The family pays affordable monthly payments back to Habitat to cover operating expenses. Jeff Swope has been chosen as the new Partner Family for a home to be built in 2017. 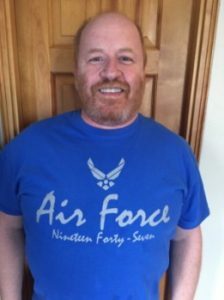 Jeff is retired from the military since 2002 and is in need of better, affordable housing. The home site is located in Saxton on a lot that was donated by Wells Fargo. We look forward to working closely with Jeff and his family in helping to provide an affordable place to live. Dinner & Silent/Live Auction at the Bedford Elks. 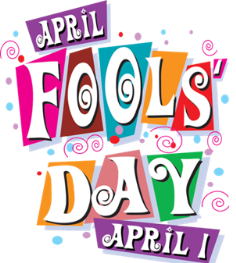 Saturday April 1st 2017. A Cinco De Mayo themed Golf Tournament in May. Details to be announced. 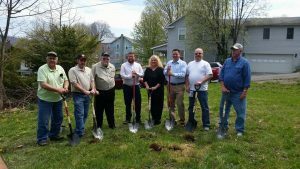 A GROUND BREAKING CELEBRATION was held on April 15th at the Habitat building site located at 1601 Wall Street, Saxton, PA. At this time the lot has been cleared and the foundation will be soon be completed.